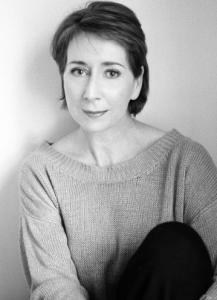 I first met Morag when our respective offspring were members of a youth Theatre Group in Bath, so I was thrilled to discover that her first novel, Funeral Music, was highly acclaimed.She is now the author of six novels, including the Sara Selkirk series, and the Silver Dagger winning ‘Half Broken Things’. Morag began writing in 1996 after a short story of hers was runner-up in a national competition sponsored by Good Housekeeping magazine. The renowned writer P.D.James inspired the plot of her first novel, Funeral Music, which gained a Dilys Award nomination for the year’s best mystery published in the USA. In 2009 her sixth novel, The Night Following won a coveted Edgar Allen nomination in the Best Novel category and her new novel, Among the Missing will be published this autumn. Jane: Morag, thank you so much for talking to us; I hope your story will inspire others to try their hand at writing that novel we all think we have inside of us! Can you remember what your very first job was? Do you think you still use any of the skills acquired then now? Morag: When I was twelve I had a Saturday job at a dogs’ beauty parlour. I shampooed mainly poodles and Westies but also a few Afghans, trimmed their toes and tails, and finished them with a brush and blow dry after the proprietor had done the clipping. Can’t say I use those skills any more! What was your dream job when you were at school? What did you want to ‘grow up’ to be? I had the usual fantasies – I narrowed it down to explorer and ballet dancer, but insisted I had to be both! But my teenage years were characterised by an extreme lack of confidence so I barely dared to have any ambitions at all. I went to the kind of school where nobody thought of careers for someone “good at English” much beyond teaching, although one teacher thought I would make a good advocate (Scottish equivalent of barrister). I didn’t agree at the time. Nobody ever pointed out that somebody had to write all those books in the bookshops, but even if they had it would have felt impossibly presumptuous to imagine I could do such a thing. When I was at university I was encouraged to take my singing seriously and for a while I did, before realising I didn’t want a life as a performer. Who most inspired the young Morag? I wish there had been someone! If there had been I might have found some focus earlier. And who is your inspiration or muse now? Other writers. It works two ways – simple admiration of writers such as Carole Shields, David Mitchell, William Trevor, and then aspiration, a kick of envy of such great talent that just makes me want to keep trying to make better use of any modest talent I may have. 1996. I’d written a short story, on the quiet, and sent it to a national competition. It was runnerup out of 2000 entries, and that’s when I thought, well, now I must at least try to write a novel. How long before it was published? Did you get many/any rejections? I found an agent as soon as it was finished and they found a publisher within two months. Do you have a role model, or someone, maybe in the public eye that you aspire to emulate? Can’t say that I do, though there are many people whom I admire, and for many things. As a general observation I think it is unfair to expect people in the public eye to be anything other than flawed. Why should adults require or expect perfection in their fellow human beings? I believe hero-worship should be part of childhood. What were you doing before you became a writer? A mixture of things, because I followed my then husband wherever his career took him and had to be very adaptable in order to develop my own career. I ran education departments in museums and galleries, lectured at a university, did consultancy work for the National Trust and other arts bodies. What has been the best piece of advice you have been given re writing? And best piece of advice about life in general? Never waste a talent. Look after what you’ve got. Have you followed a plan? Did you know what where you wanted to be? No, because I’m aware that I’m not in control of everything that comes along. I try to keep a general attitude of openness to the unforeseeable, in an optimistic, not a pessimistic sense. Early evening, after a fruitful day’s work and a walk, and I’m thinking of what to cook for the person I adore, and I hear the door opening. Perfect! Do you have a favourite saying, book, or piece of wisdom to share with the readers? Morag, thank you so much for taking the time to share your thoughts with us. I wish you huge continued success with your next novel and look forward to reading it. And if you’d like to find out more about Morag and her work her official web site is here and you can get her books from your local library or here, via Amazon. If you like a good mystery or a well written story, you’ll love them!